Learn how a fresh wedge can help you maximize your spin. test facility. The results? Wedges with fresh grooves lead to more precise shots. 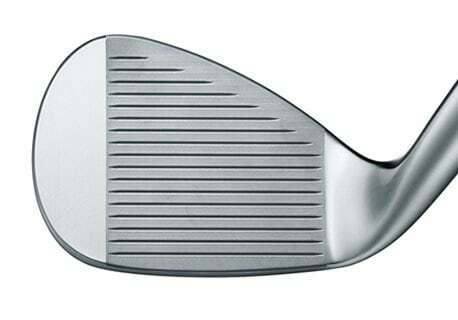 A new wedge can spin up to 2,000 RPM more than a wedge played for 125+ rounds. 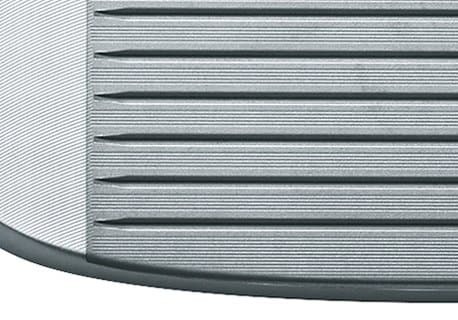 A new wedge will launch lower than a wedge with 125 rounds of play. A new wedge has less than half the roll out of a wedge played 125 rounds. What are the effects of groove wear on performance? 125 Rounds: 35° launch angle | 6500 RPM Spin | 24' of roll out. 75 Rounds: 34° launch angle | 7400 RPM Spin | 18' of roll out. Fresh Grooves: 33° launch angle | 8500 RPM Spin | 10' of roll out. 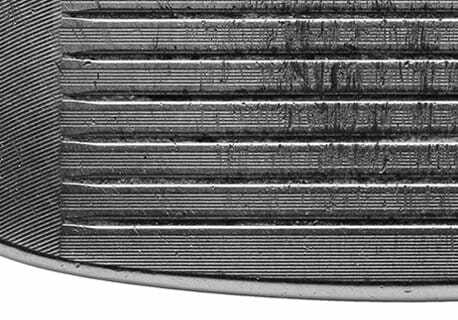 What causes wedge grooves to wear down?  Golfers encounter a variety of conditions with their wedges that lead to the groove edge wearing down over time. Every golfer should evaluate their wedges and grooves at ~75 rounds of play to get the best spin performance. 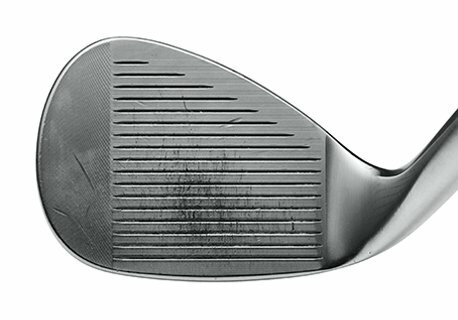 Regular practice and play creates normal wear and tear to the wedge and results in a gradual wearing down of the groove. Bunker shots expose the face to millions of small pebbles and rocks, essentially sand blasting the face of the wedge. Sandy lies, debris on the golf ball, rocks, and bag chatter can all lead to gradual groove wear. 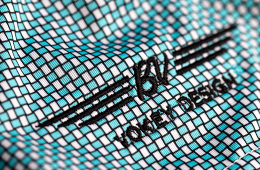 Vokey Wedges are cast from soft 8620 carbon steel. Range balls and other hard covered balls will, over time, wear down the edge of the groove. The friction created at impact generates heat and gradual groove wear. How do I inspect my wedges for groove wear and spin loss? Wedges may look fine, but may not be delivering maximum spin. You should inspect your wedges for groove wear every 60-70 rounds. 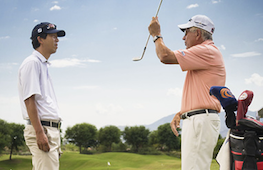 Start by inspecting the overall physical condition of the wedge and groove. 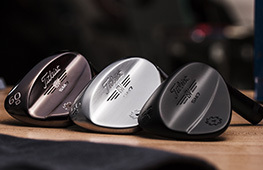 A visit to your local Titleist Certified Fitter to evaluate launch, spin, and roll out will ensure you are playing with the best performing wedges. All wedge grooves wear out over time. At Titleist, we make every effort to deliver the best performance and quality. This includes inspecting every groove on every Vokey wedge head, and taking the extra step to apply a localized face heat treatment that doubles the groove durability. However, because all wedge grooves wear out eventually, our Titleist Certified Fitters are also here to provide professional wedge evaluations, helping you maximize spin and stay on top of your game. Meet with a Titleist Certified Fitter to see if a wedge replacement can help add spin to your short game. Tour level spin takes a tour level approach.